The explosion of the self-publishing industry has ushered in a plethora of online self-publishing platforms. Authors often choose to self-publish books online because they are able to maintain 100 percent control over content and editorial decisions. Fortunately, three choices are available for the online author that have proven successful: (1) publishing your book on your own website, (2) publishing your work on another website, or (3) publishing your work via an online self-publishing platform. To maintain the most control over how your work is sold, publishing your book on your own website is the way to go. You maintain ownership of all rights and content. You can publish immediately, without waiting for anyone else to control release dates for your work. Your book won't be in direct competition with similar titles. The website is for your work only, thus your book won't be in competition with other authors. All the proceeds of the sales of your book are yours. You won't need to pay a publisher a portion of your royalties as you would through self-publishing. Your website can include supportive information about the book. This might include a blog, links to social media, and other interesting information relating to your book topic. You can choose your domain name. This might be your name or the name of your book, or both. Of course, there are downsides to publishing a book on your own website, as well. All the work involved is time-consuming. This may take time away from writing or working on other projects. You are responsible for website design and maintenance. You'll need to work on attractive website design, and you'll need a system to process payments and allow readers to access your book. You are responsible for editing. To ensure your book is polished, professional, error-free, and reads well, you'll need to hire qualified developmental and copy editors. Expect to pay about $30 to $55 per hour, according to the Editorial Freelancers Association. You are responsible for cover design. You'll need to hire a graphic designer/artist to create attractive cover art that piques the reader's curiosity and presents a polished appearance. Graphic designer rates vary greatly, so you'll need to budget for this and find a designer willing to work within your budget. It's up to you to complete proper formatting. Whether you're making your book for print or just making it available in e-formats, you'll still need to format the book properly. With eBooks, there are multiple formats you'll need to offer because different readers use differing formats. While you can learn formatting for each specific reader, this is labor and time-intensive with a steep learning curve. Therefore, you may wish to engage an eBook formatting service. You need to obtain an ISBN if you plan to print your book. Some eBook formatting services also require you to obtain an ISBN, which can cost anywhere from free to about $125.00. It's up to you to set up your e-commerce. This means you'll need some type of shopping platform for your website, such as Shopify or WooCommerce. There may be a monthly fee associated with maintaining your e-commerce. It's up to you to obtain a web host, purchase a domain name, and set up or build your site. Many site builders, such as Weebly, WordPress, and Yola, make this process relatively easy, but they do charge a monthly fee for hosting. You are entirely responsible for marketing your book. Driving readers to a single author's website is difficult, at best, and a major challenge for most writers. You will be responsible for getting information out there about your work via social media, keeping your website attractive and interesting, and arranging any personal appearances or other marketing for your book. If publishing your book via your own website isn't appealing, you could choose sell your book via another website that will be responsible for sales and other aspects. Someone else handles all sales tracking. Selling on a third-party website may provide you access to a larger group of people that may purchase your book when compared to an individual website. You have no web hosting responsibilities. The websites may have author-specific pages that you set-up so others can find your books easily. Author maintains complete ownership of the publishing rights. Up-front costs may be lower than hosting on your own website. Selling on a large website may provide credibility. You must rely on the third party website to handle details of sales. You must trust that the site will provide honest reporting of sales and royalties. In most cases, author must still provide editing and a completely formatted book. Author must share proceeds with website or offer a percentage of sales. You'll still need to work hard at social networking and marketing to drive traffic to your book. If your book fits a niche and you don't already have a large following or a mailing list to contact, you might approach an established, active website to see if they can host the book for you. 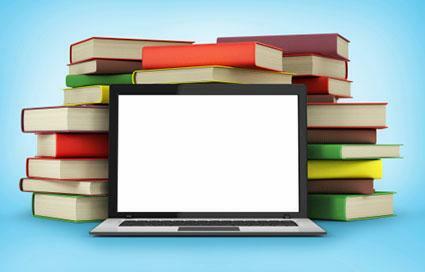 Look for websites that specialize in your subject area or use one of the more traditional bookselling websites. When you're placing your work on another website, consider the expenses already mentioned, as well as the possibility that the host website may crash, or could go out of business. Make sure the website has a history of an active traffic pattern. Ask for a written agreement with the website owners regarding any fees. Communicate with them regularly about your sales. AllRomanceEBooks: Though most of the books on this website are published by traditional publishers, they will also list self-published books. Publishing on this website ensures you will reach readers interested in romance novels. You will pay a fee to be listed, as well as struggle to rise to the top amid hundreds of other books that are similar to yours. Amazon: This mega bookstore attracts 175 million visitors per month, but Amazon sells far more than books. Listing your book with them means you pay commission, but you also have the opportunity to be seen by millions of buyers from all over the world. Amazon's reviews often determine the course of the book, so authors listing their books on this website need to be actively involved in marketing. Barnes and Noble: Unlike Amazon, the majority of Barnes and Noble's sales are from books. Listing self-published books with them is easy, but the author must actively market the book and price it appropriately to compete with the thousands of others in that particular genre. Goodreads: Created for readers, Goodreads' mission is to include information about and a direct link (i.e., blog, newsletter, bio) about every living author. Readers join book clubs, rate their favorite books, and anxiously peruse Goodreads' giveaway page. New writers are welcomed and self-published authors are on equal footing with bestsellers. If you are new to the publishing scene or do not boast an established platform or a dedicated group of followers, marketing your book may be a challenge. Publishing your eBook using a reputable platform will enable you to gain exposure amongst avid readers may not be familiar with you but are interested in your genre/topic of interest. Professionals are available to handle details such as editing, cover design, formatting, marketing, and sales. There is typically a cost for such services. Most online publishers have a larger audience than an author can reach on his/her own website. Publishing packages can be personalized for each author. The platform typically provides an ISBN. For the most part, you control the publishing timeline. Platforms also offer template-based formatting and cover-design that make it possible for you to do these things for yourself without paying a professional to do so. Some services, such as Kindle Direct Publishing and Smashwords have almost no up-front costs if you don't order any extras. Most packages that include all the services needed to self-publish a book are not free. The author must share a percentage of proceeds from sales. The quality of cover art, editing, and marketing vary greatly. Chances are, it will still be up to you to do the majority of your marketing and public relations work. There are dozens of self-publishing platforms available, but at the center of the self-publishing explosion is a solid group that are time tested and fairly successful. Kindle Direct Publishing (KDP): Kindle Direct is Amazon's self-publishing arm. It's easy to upload your books and you get the benefit of millions of readers, but the downside is that you also have plenty of competition, and Amazon charges royalties for the privilege. The only format available for KDP is the kindle eBook. No print books are available, but the upfront costs are very low, starting at free. AuthorHouse: With almost twenty years of experience, AuthorHouse offers packages for black and white projects, full color and graphic novels. Packages include publishing features, digital formatting, physical copies of the book, marketing, and registrations. Up-front costs are at least $899 and go up depending on book length and other services you select. iUniverse: This company's packages include distribution with the smallest package starting at $999 and running up to $4399. The more expensive options offer design, social media and other options. Up-front costs are at least $999, which includes distribution on Amazon and Barnes & Noble, as well as both print and eBook publication. LuLu: LuLu offers a variety of publishing options that are far more expansive than some of the other self-publishing platforms mentioned already. If you want them to create the e-book for you, their initial fee is $799. You can do print-on-demand books free selling from LuLu.com sites, or you can have eBooks and print books that are distributed on other retailers like Barnes & Noble and Amazon websites for packages starting at $799. Smashwords: The platform calls itself "fast, free and easy." The platform also acts as host for more than 350,000 books, so they have a built-in readership. The platform publishes only eBooks, and it has a formatting module that allows you to format a book once and then it converts the eBooks into multiple eBook formats including PDF, Kindle, iBook, and many others. The con to this site is that even though the pieces they publish are vetted, you are competing with a lot of books that may or may not be the same quality as yours. If you choose to publish in this format, make sure you spend time editing and marketing your project. Xlibris: The New York Times called Xlibris the best on-demand publisher in 2000, but they now have a great deal of competition. Their packages start at $499 for eBook publication, and range up to $15,299 for full-service packages with print and eBooks. Most packages offer distribution through major online retailers, and services include cover and interior templates, book and author webpages in their database, and some packages include marketing as well as other services. Do you have a family story that you simply want to share with your siblings, kids, and cousins? Self-publishing on your own website might be your choice. Are you a writer with a novel you believe could make the bestseller list? Using a reputable online publisher may be more advantageous. Are you a genre writer whose work appeals to a specific type of reader? If you have a following, you can choose any of the options available; if not, aligning with a publisher who has other books of that genre in their online store would be the best bet. When all is said and done, publishing your own book is a personal decision complicated by the considerations regarding cost, your audience, and your skills. Be honest with yourself and create a pros and cons list so you can make the decision that will be best for you.